This is a cute set and it's 60% off! 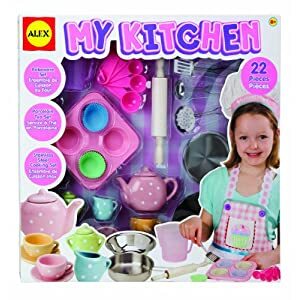 Right now you can pick up Amazon's exclusive set of Alex Toys' My Kitchen Set for just $11.99. That's 60% off the list price of $30. If you're an Amazon Mom, 2-day shipping is free. Otherwise, your shipping will be free if you spend $25 or more.